Entries are being review and prepared for judging. Winners will be notified by January 15, 2014. Each year, the Space Foundation invites students to enter our International Student Art Contest. The 2014 contest theme, “My Spaceship Looks Like…,” challenged students to design their own spaceship – and then interpret that idea into an original work of visual art. The 2014 Space Foundation International Student Art Contest was open to students around the world in eight age categories. Limit of one (1) entry per student. Each student may submit one original artwork in any of the acceptable media/formats. Although we don’t have any specific size requirements since submission is digital, the ideal size for entries should be no smaller than 11” x 17” and no larger than 18”x 24”. 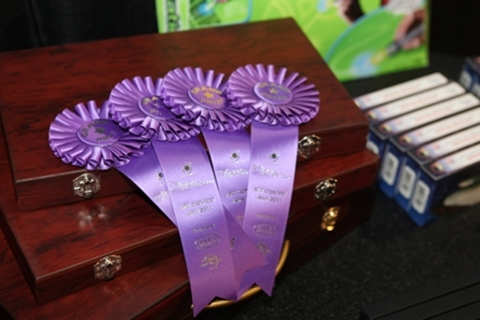 The Space Foundation will give a total of 25 awards to 24 Winners: 1st place, 2nd place and 3rd place for each of eight age categories will receive a prize, ribbon and a certificate. In addition, the Space Foundation will confer a Space Foundation Achievement Award, which will be selected by the Space Foundation graphic arts team from among all the winners. 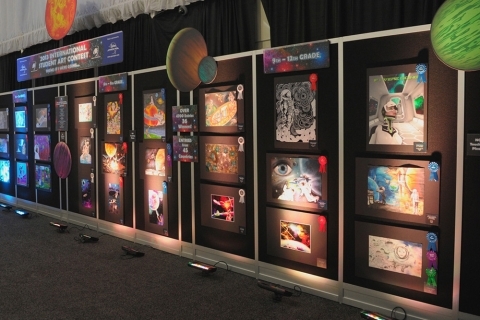 Winning artwork will be displayed and viewed by space professionals from around the world at the 30th Space Symposium, May 19-22, 2014, at The Broadmoor Hotel, Colorado Springs, Colo. and at other venues throughout the year. The Space Foundation partnered with artsonia.com to receive all artwork entries. Free for kids, parents and teachers to use, Artsonia is an online art museum featuring student original artwork. It is the largest online art museum of its kind in the world and is a free, educational program for schools, teachers and parents. Winners will be notified no later than January 15, 2014.